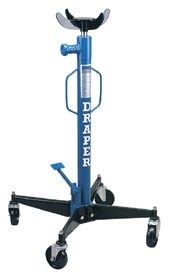 Features high speed lift foot pedal and hand operated precision release incorporating overload safety valve. Large diameter wheels for easy manoeuvrability. Carton packed.